We are so excited to share that the Long Island Alzheimer's Foundation (LIAF) has been selected to be a part of the Stop & Shop Community Bag Program, which is designed to make it easy for customers to contribute to their local community while supporting the environment. 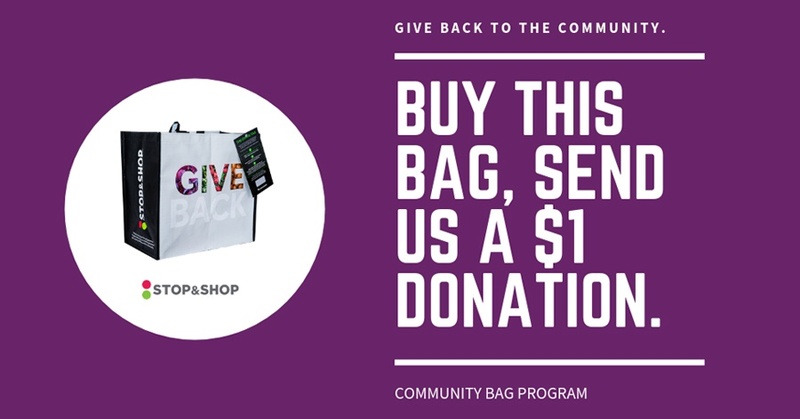 For the month of May, each time a reusable Community Bag is purchased at the Stop & Shop located at Carle Place, $1 will be donated to LIAF. This is a great way to raise awareness, support the environment and fundraise for our cause. Let’s get started! We can begin by spreading the news to our friends and family. Call, send emails, and post on social media. The more people who learn about the program and purchase the Community Bag during the month of May, the more money we will raise. To learn more about this program, please visit stopandshop.bags4mycause.